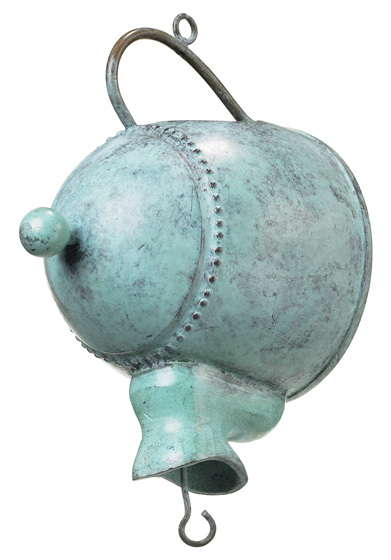 This Teapot Leader will make your rain chain even more intriguing. Originating hundreds of years ago in Japan, rain chains act as linked funnels that are a decorative alternative to the cheerless gutter downspout. Rainwater playfully dances and flows down these handcrafted channels, creating a delightful focal point for your outdoor enjoyment.